The bogs of Ireland are home to many important species of birds, insects and a wealth of unusual plants. Peat, water and plants have been growing together for 10,000 years to make a bog habitat. Exploitation of peat for fuel (turf and milled peat) has dramatically reduced the area once covered by peatlands in Ireland. International Bog Day is celebrated around the world on the last sunday in July. This annual event has been designed to celebrate the beauty of bogs and to help make people more aware of peatlands, the services they provide for free and the threats they face. If you would like to learn more about the Irish Peatland Conservation Council’s work to save Irish bogs please visit www.ipcc.ie. 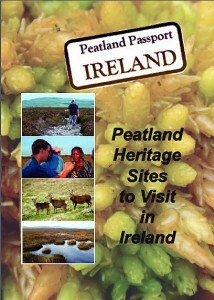 IPCC is co-ordinating a whole series of events around Ireland to help celebrate this special day. We hope that you can attend one of these events so that you experience for yourself just what it is that is so special about bogs. Families are welcome to all events. All events are free unless otherwise indicated. Please wear rubber boots. Please contact us if you require any assistance or help on email: bogs@ipcc.ie. Sunday 24th July 2016: Join the IPCC and celebrate International Bog Day at the Bog of Allen Nature Centre between 2pm and 5pm. The day will include a talk on the discoveries made during the IPCC’s recent visit to the Bargerveen Nature Reserve in the Netherlands. 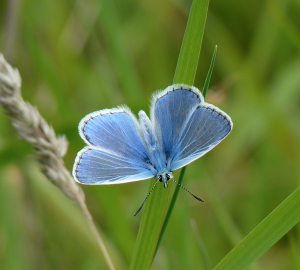 There will be fun activities for children and a guided walk to Lullymore West Reserve to discover the wonderful variety of butterflies that are present on the site. All are welcome to attend this fun family day out. Strong footwear and outdoor clothing are recommended for the butterfly walk. Refreshments will be provided. For more information contact us at bogs@ipcc.ie or call 045 860133. This event is run with the support of the Community Tourism Diaspora Initiative of Kildare County Council, Fáilte Ireland and IPB Insurance and The Kildare Festival Grant. Celebrate International Bog Day at Connemara National Park on Sunday 31st July where there will be two walks to celebrate the day join the guides and learn all about the plants and animals of bogs. Walk Times: 11.30am & 2.30pm. 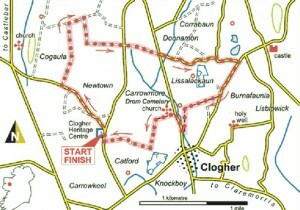 Each walk will take approximately 1.5hrs & will depart from the parks visitor centre. Good walking shoes/boots & rainwear are recommended for all the walks. To coincide with International Bog day Clogher Heritage Centre, Clogher, Claremorris are organising a “Wildflowers of the Wetlands Walk” on Clogher Bog Loop Walk on Tuesday August 2nd commencing at 11a.m. All welcome. You can enjoy Ireland’s beautiful bogs every day of the year, not just on International Bog Day by visiting one or more of the bogs featured in the Peatland Passport for Ireland. Download your copy here and keep on boggin’.